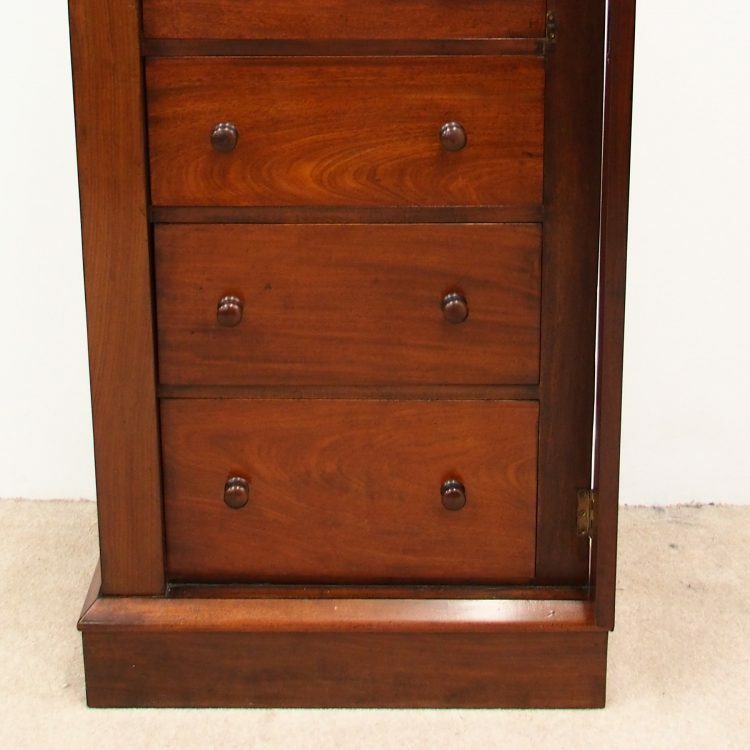 Circa 1920, Victorian style figured Spanish mahogany wellington chest. 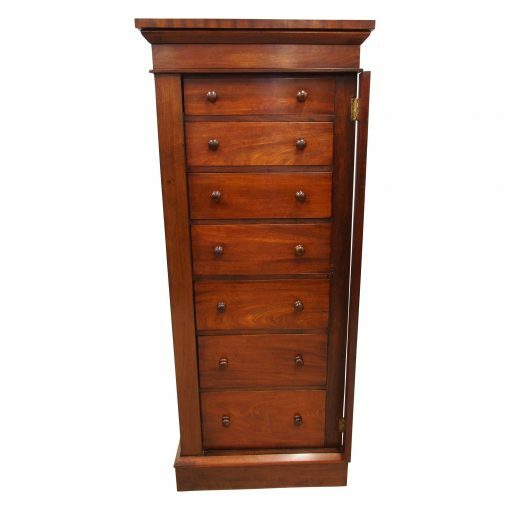 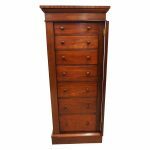 With 7 drawers with turned knobs, it all stands on an enclosed plinth base and simple frieze. 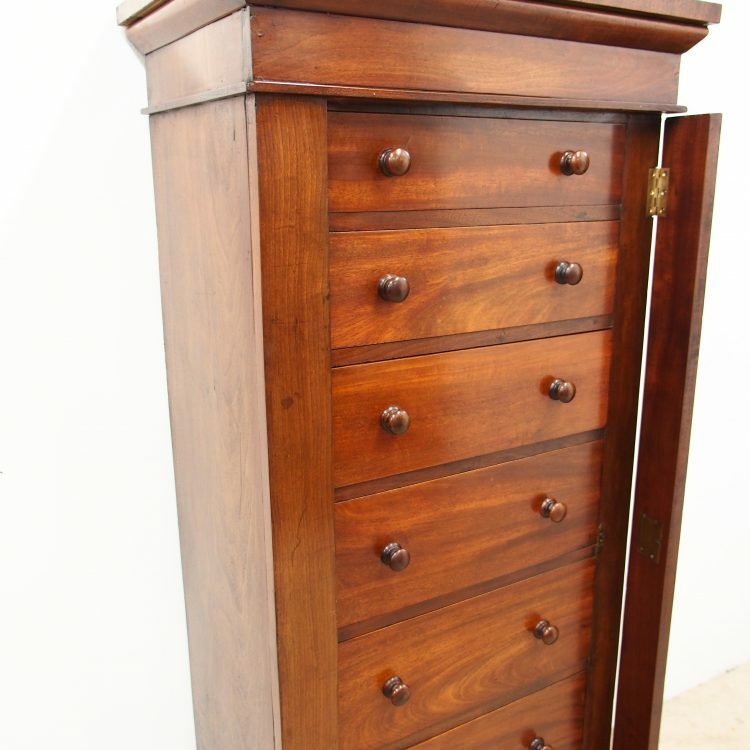 It has a rich colour and interesting patina.